The International Maritime Organization, the United Nations division responsible for managing safe shipping regulations, has decided, as of July 2016, shippers will be required to provide accurate gross weight statements of all packed containers before loading them onto the vessel, The Wall Street Journal's Loretta Chao reported. The purpose of this new policy, a revision to the International Convention for the Safety of Life at Sea, is to improve the safety of merchant ships and prevent cargo from being damaged. 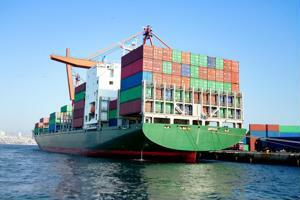 According to the World Shipping Council, an estimated 1,700 shipping containers are lost at sea every year. The WSC recently published a summary of the SOLAS container weight verification guidelines, which stated that all supply chain participants, including the carriers, shippers and vessel and terminal operators, are expected to comply with these process requirements to ensure safe, timely operations. After packing containers, shippers will have to use "calibrated and certified equipment" to weigh items. The items can be verified individually or grouped together for a sum. Vessel carriers can handle this procedure themselves or through a third-party scale service, the guidelines state. While the IMO and WSC feel this amendment is necessary for safety concerns, Chao revealed that many shipping manufacturers are opposed to it, since being forced to weigh every container before exporting could raise transportation costs and slow operations. Cai Jiaxiang, vice chairman of the China Shipper's Association, told Chao that he believes the mandatory container weight verification will likely "incur additional charges and reduce efficiency to the supply chain process." There is also the problem of not having the appropriate equipment or resources needed to meet these standards. If shippers don't already have a scale or weigh bridge, they have to invest in one or enlist the help of a third party provider. This, however, is a step some don't feel they should be obligated to. "There is serious concern that there are not even enough third-party scale providers to handle this service for the heavy container volumes," Beverly Altimore, executive director of the U.S. Shippers Association, explained to the reporter. Even if resources weren't an issue, there are still some apparent flaws with the weigh verification policy itself. Peter Friedmann, executive director of the Agriculture Transportation Coalition, told Chao that environmental conditions can cause weight fluctuations in some crops. For example, both cotton and lumber expand in humidity. This is why, he said, he plans to request a 6 to 7 percent margin of error from the U.S. Coast Guard. Although the amendment was officially adopted last year, it won't take effect until July 1, 2016. The WSC guidelines recommend shippers, ocean carriers and all parties involved in merchant ship supply chain operations use the time until then to transition and prepare for these changes.